Micheal Nguyen firmly believes the best way to learn is to teach. 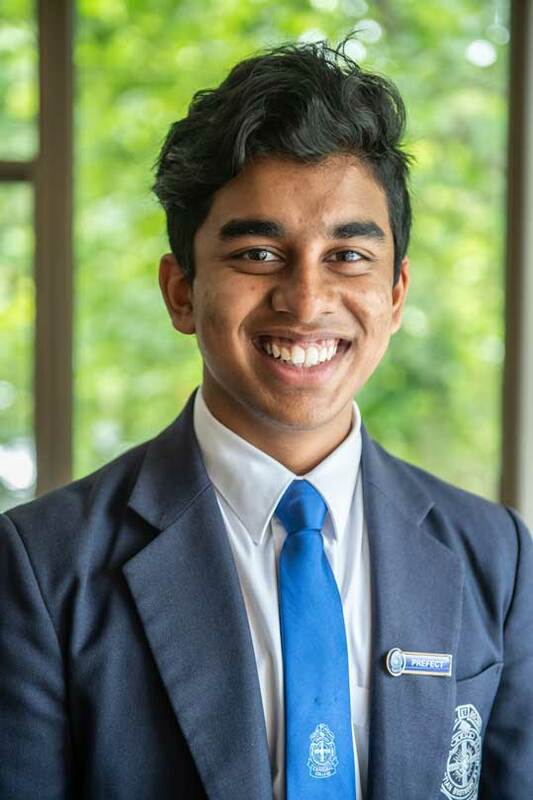 And it’s through teaching his faith to primary school students that he is developing a stronger connection with Christ. 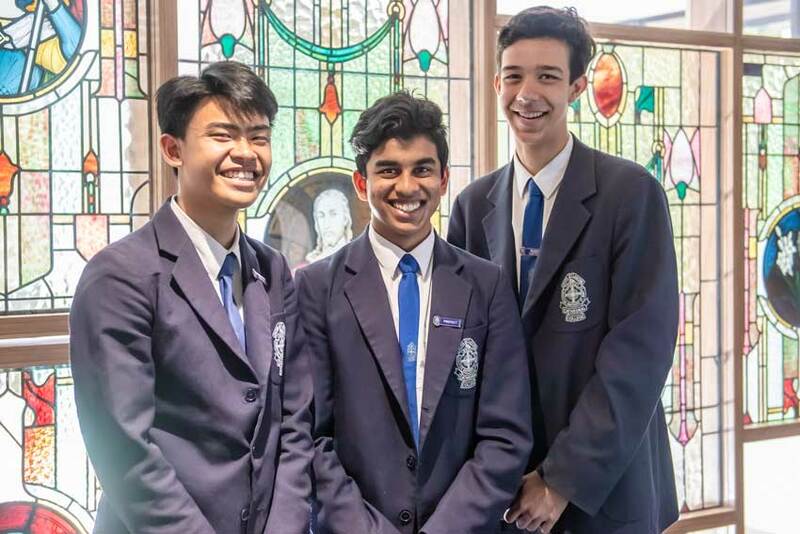 The Year 11 student from St Mary’s Cathedral School is one of more than 350 young catechists from Sydney Catholic Schools who pass on the teachings of the Church to students in the state school system. And with around 70 per cent of parents choosing Special Religious Education for their government-schooled children, Micheal is very pleased to be answering the call. 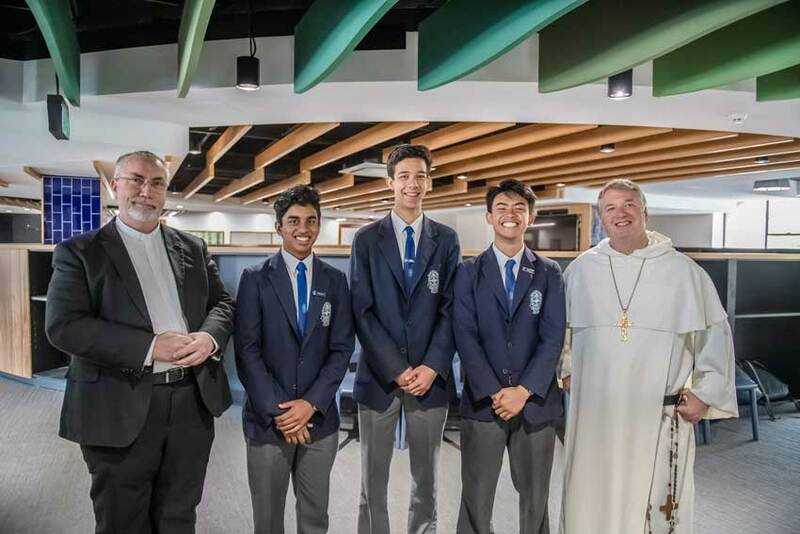 Introduced to the Sydney Archdiocese in 2009 with just 48 students, today the numbers of Catholic children passing on their faith is flourishing. For Micheal, teaching the Year 1 kids at Woolloomooloo‘s Plunkett Street Public School has become a highlight of his week. He said he spends about two hours on each lesson which includes travel time, planning and presenting. 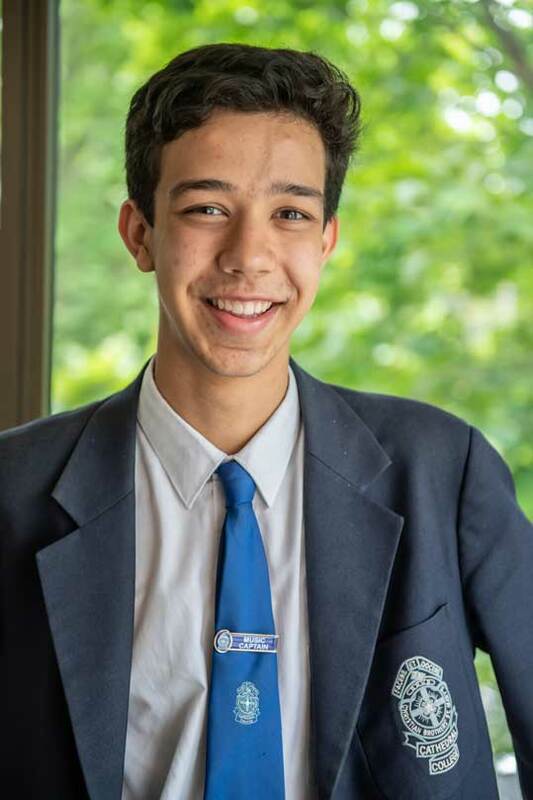 And he has enjoyed contributing to the faith life of his young charges so much that he is now thinking of becoming a primary school teacher himself. “As the kids are so young, I thought they would be really hard to teach but they absolutely love it,” he said. “Their eyes light up when we come into the classroom and all they want to do is have a hug so they must be enjoying what we are teaching them. “Being a catechist also gives me the opportunity to talk about my faith without being judged. “When you instruct others, your own understanding increases and that is certainly the case with me and my mates. “It is so much fun teaching them, and I really do feel like I am making a difference while spreading the word of the Lord. Students can become a catechist from age 15 to 17. Typically, schools commence training in the last Term of Year 10, and then teach throughout Year 11 the following year. 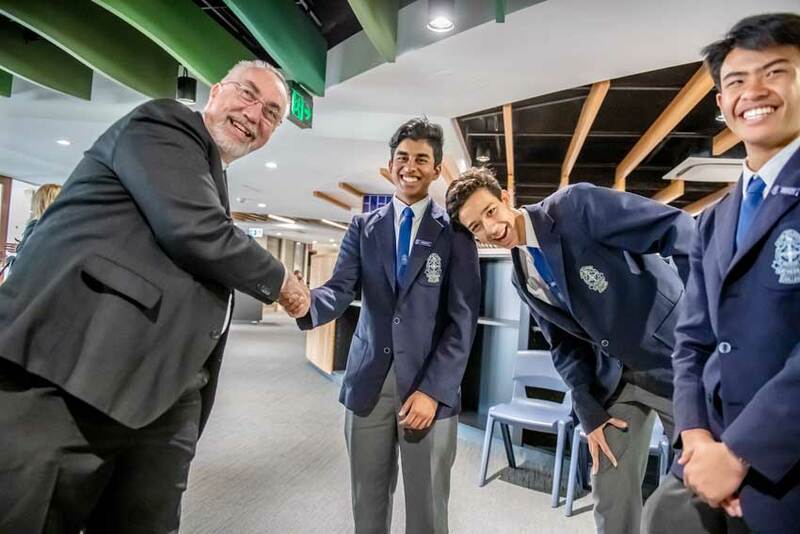 They usually stop at the end of Term 3 as they commence Year 12 studies in Term 4. Confraternity of Christian Doctrine education officer Robert Milan said all that is needed to be a catechist is a passion and a drive to share their faith. He said for most of the Student High School Catechists, they are chosen based on leadership, a possible career as a teacher or simply to broaden their understanding and contact with their local community. As well as being witnesses to Christ, God’s love, a commitment to teach the Catholic faith and the ability to adapt to the students they teach through resources, pedagogy and modes of learning. “Catechists are often viewed as senior and retired however this is the ‘bread and butter’ of the Apostolate,” he said. “However young people teaching younger people provides a greater connection, understanding and sharing. 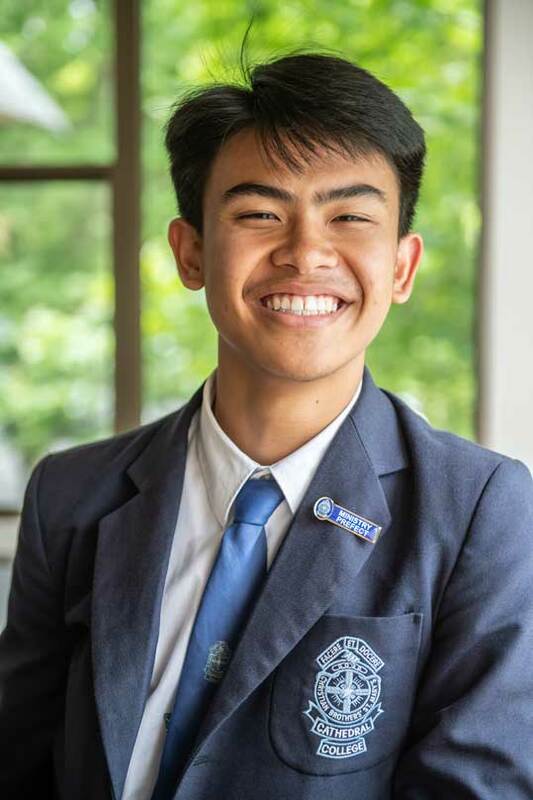 “High school student catechists are provided with an opportunity to further engage in their faith that they learn at school and to research areas that they themselves are not clear on. “This was a moment that solidified the role that catechists play, showing that by just being there in the classroom is like having Jesus with them. Sharing the faith is an honour. It’s estimated that fewer than 1 percent of Catholics are catechists. If you’ve been approached to be a catechist, or if you feel the call, you are being asked to do something special for God, for the Church and for your fellow Catholics. By acting on what you believe, you become a participant in building up God’s kingdom. After all, Jesus told us not to put our light under a bushel basket. As a catechist, you will discover that prayer, liturgy and your own relationship with God will become more vibrant and meaningful. A catechist is a role model. Ask young people who their role models or heroes are, and you’ll get a litany of movie and sports stars. While looking good and being athletic are fine qualities, young people also need examples of ordinary people who do the right thing just because it is the right thing. As a catechist, you get to model behaviors young people might not learn anywhere else. You will be practicing stewardship. In these difficult economic times, families are struggling with rising prices and shrinking incomes. Being a catechist is a way of being a good steward by giving a bit of your most precious resource — your time. You might not be able to donate as much money as you would like, but we all have time and talent to share. You show your own family that you value religious education. Taking time out of your life to teach the faith shows your own children, grandchildren, siblings and family members that you put a high priority on religious education. You may find you are teaching them as much by your example as you are your students by your lesson plan. Spending time with energetic, enthusiastic young people gives you renewed energy and vitality. Kids remind adults to live and laugh in the moment and get enthused about things like holy days and stories of saints. Not to mention there’s nothing like it when a kid “gets” one of the tenets of the faith, like the Real Presence. It’s what we are called to do. At the end of his earthly ministry, Jesus said: “Go, therefore, and make disciples of all nations, baptising them in the name of the Father, and of the Son, and of the Holy Spirit, teaching them to observe all that I have commanded you. And behold, I am with you always, until the end of the age” (Mt 28:19-20). By teaching the next generation about the Good News, you are fulfilling your part of the Great Commandment.